McDonald’s Canada and Cossette in Vancouver have brought to life one of the first interactive ice sculptures this summer on behalf of McDonald’s Restaurants in Alberta, driving consumer interest in the company’s Dollar Drink Days campaign. 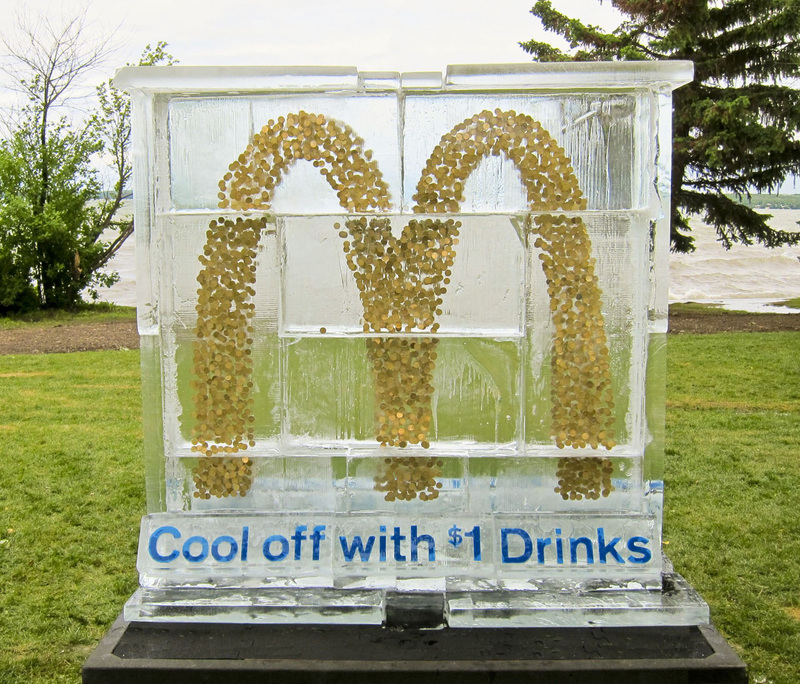 Hosted in the town of Sylvan Lake, the stunt saw 8,000 pounds of ice moulded into a seven-foot tall installation, containing over 4,000 sparkling loonies, shaped into McDonald’s famous Golden Arches™. The ice melted on a summer Saturday, consumers chipped away at the sculpture to collect their ‘bounty.’ The sculpture was strategically placed near the Sylvan Lake Pier, an area frequented by young adults and families, and surrounded by recreational summer activities. The Dollar Drink Day promotion was included in a “beach party” with a DJ, street promotional teams, hula hooping, limbo contests and giveaways. The Dollar Drink Days campaign was developed at Cossette, Vancouver, by creative directors Rob Sweetman, Bryan Collins, creatives Scott Schneider, Jeff Shorkey, Bart Batchelor, Mike Felix, Eric Arnold, broadcast producer Hasinoff, account lead Kristen Sandberg, account team Cori White, Lyndsay Stewart, and Danielle Thibaudeau.